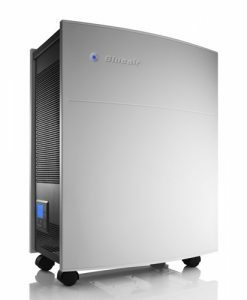 Blueair combine ionizer, electrostatic, carbon and HEPA type filter technologies which result in a very high filtration effectiveness and with no external ozone. 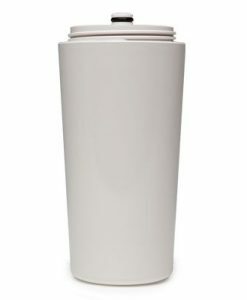 They gain very high marks from us for their ability to deliver large amounts of purified air, as certified by AHAM. Also quietly does it, making them a top choice for a bedroom air purifier. 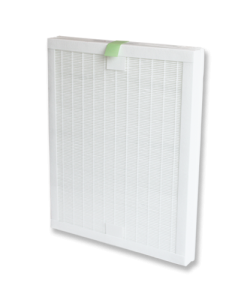 Their filter changes are exceptionally easy and with recent upgrades to include filter life monitoring and pre-filters, this manufacturer is still managing to keep pace and ahead of most other air purifier manufacturers. All Blueair filter changes are very easy to achieve, just open the door and remove the dirty filter and slide the new one into place. 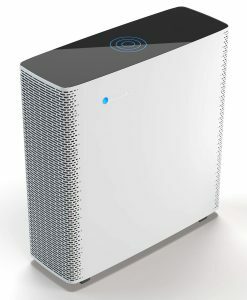 Blueair’s air purifiers are uniformly quiet to operate. They realized very early that if you needed to live with an air purifier it MUST be quiet. 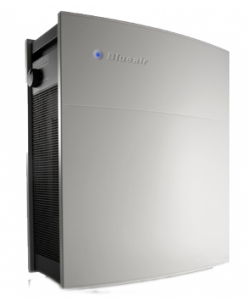 Blueair air purifiers are very energy efficient and are energy star qualified. 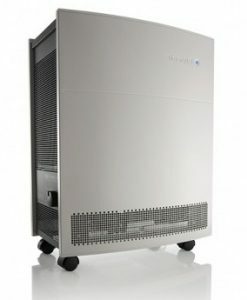 We applaud Blueair for being a green conscious manufacturer. 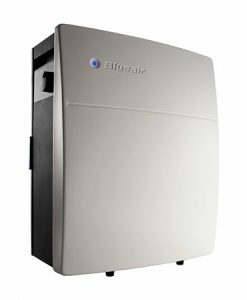 Follow the filter change policy and a Blueair air purifier will last a lifetime. They are very reliable. This is not a ‘throw away into a landfill after a couple of years’ kind of product. The latest models of Blueair air purifiers offer filter change indicators and excellent efficiency ratings which has really elevated them even more in our eyes. 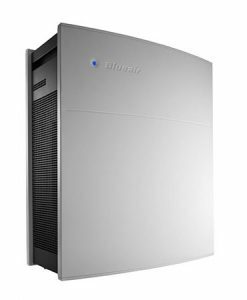 Blueair air purifiers are AHAM rated, which means you can really trust their specifications for room coverage and know they will achieve the recommended number of air changes per hour. 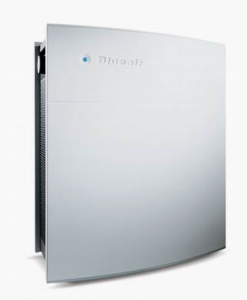 Blueair air purifiers have scored amongst the best in the industry. 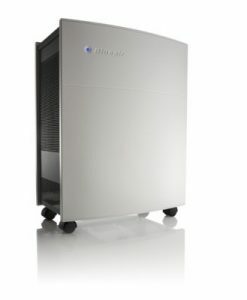 It is important to note that Blueair does not use true HEPA filters. 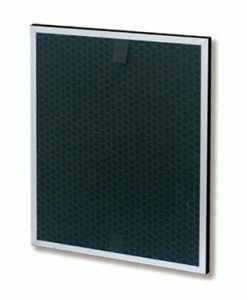 Their HEPASilent and Gas & Odor SmokeStop filters are made of polypropylene which allows them to achieve their high number of air changes per hour. Lest you think that this makes their air filtration less effective, they combine HEPASilent™ technology with other technologies for an exceptionally high level of filtration efficiency at the first pass of air.